Diplo’s just-released book, 128 Beats Per Minute, credits Baltimore’s DJ Blaqstarr with introducing the Mad Decent mogul to rapper Rye Rye, then producing her 2008 single, “Shake It to the Ground,” when she was just 17. Blaqstarr and Rye Rye have each taken different but similar routes toward repping their hometown’s B’more club sound to the masses — Interscope-signed Rye Rye has put out increasingly poppy singles like “Boom Boom,” while Blaqstarr has worked with M.I.A. and last year slipped out his sleek, seductive The Divine EP, also on Interscope. 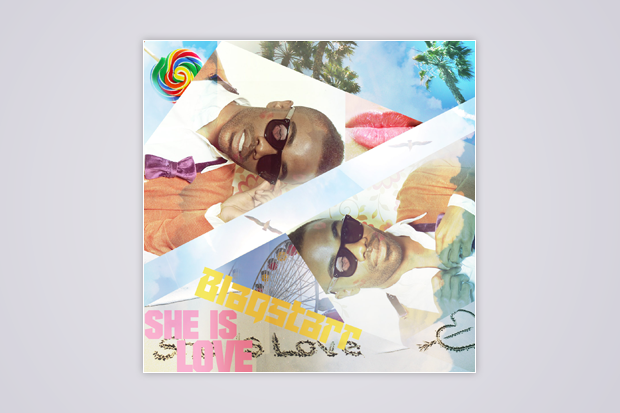 With acoustic guitars, a peppy beat, and playfully charming vocals, “She Is Love” is from a new album that won’t be out until this fall, but it’s as summery a pan-genre pop tune as anything this side of the new Santigold record. Blaqstarr even channels his best André 3000, talk-rapping, “I have extra abilities, baby, and one is: I communicate with cats.” Three Stacks knows a thing or two about that, too.